A winner of the directing award in the World Cinema Documentary category at Sundance, and ranked high on Metacritic with a score of 89, Shirkers is a film viewers are clearly meant to love. 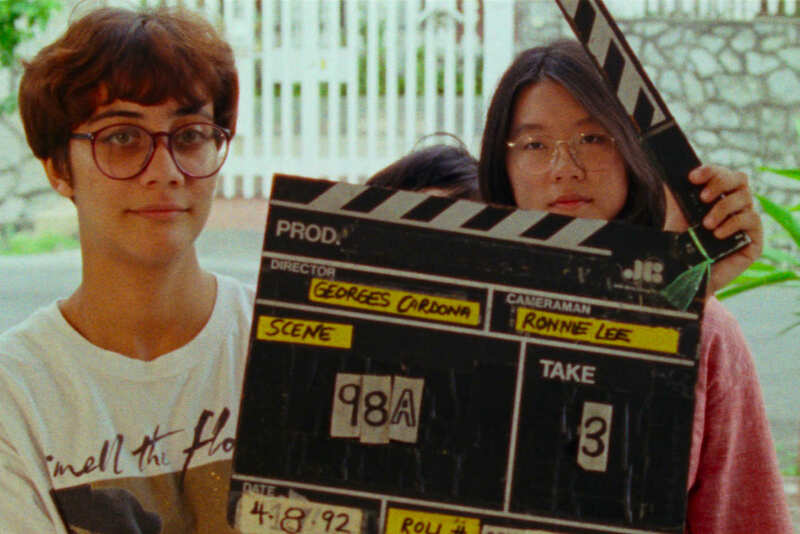 Filmmaker Sandi Tan tells her story of growing up in Singapore while immersed in the New Hollywood indie movement of the early 1990s, an obsession that inspired her and a group of teenage friends to make a first feature, also called “Shirkers,” which garnered a good degree of publicity while they were making it. But after they wrapped, the footage ended up being whisked away by an older man, Georges Cardona, who was their advisor and director of photography on the film. Cardona told Tan he was taking the film to New York to transcribe and edit, but then he and the spools of hard-earned film vanished. Twenty-five years later Cardona’s wife discovered the footage and contacted Tan, who decided to repurpose the still-pristine reels into this, her debut film. Shirkers is more a story about DIY filmmaking and blocked creative passion than it is a mystery about Cardona and his ambiguous, Svengali-like influence over Tan. The making of the film within this film, and the tensions between Tan, her co-filmmakers, and Cardona, take up most of the first hour of the movie, as well as most of the air in the room. Blame it on Tan’s inexperience, or blame it on a documentary industry convinced that audiences don’t have the patience for subtlety, but Shirkers is grueling to sit through. The movie annoys on several levels. It is at once over-obvious and under-nourished, both too literal and frustratingly vague. It combines several tics of the current high-profile documentary trade: An antic, agitated editing scheme that leaves little room for reflection or silence; the visual material is a stone soup of found footage, photos, clippings, road trip POV, and talking heads; and the assemblage is a frenzy of quick close-ups, cutout animations, audio gimmicks, and behind-the-camera takes of the microphones and crew members shooting Tan’s interviews. Barely a shot holds for more than 4 seconds. Trussing this all together is Tan’s relentless narration–flat and unaffected except when it seems rehearsed and melodramatic–and the movie’s brain-clawing, wall-to-wall music score. Simply because a filmmaker has the budget for a music composer, does that mean she has to employ one? Can’t a director ask for two or three pieces of music, spread sparingly throughout the run time of a film, inserted at judicious moments for the purpose of whispery emotional resonance? Faye Ginsberg, a contributor to Film Quarterly magazine, riffed on the distractions of the documentary score at the Getting Real conference in Los Angeles in September. When she asked the room, Does this bother anyone else?, hands shot up everywhere. The only hope for this assault on our ears and our emotional connection to a film is that this trend will eventually burn itself out. But now that nearly every one of the dozen or so films deemed high-profile enough by industry decision-makers to reach larger audiences relies on a numbing, insistent music score to keep them from switching over to their next binge-ready series, I fear the dumbing down of discerning viewers (and critics, see Metacritic score above) is in full swing. As to the substance and intent of Tan’s film, there is considerably less here than meets the eyes and ears. An endearing little movie about lost opportunities and the search for a creative voice wanders around the interior of Shirkers, but it is buried under an avalanche of visual and aural confetti.